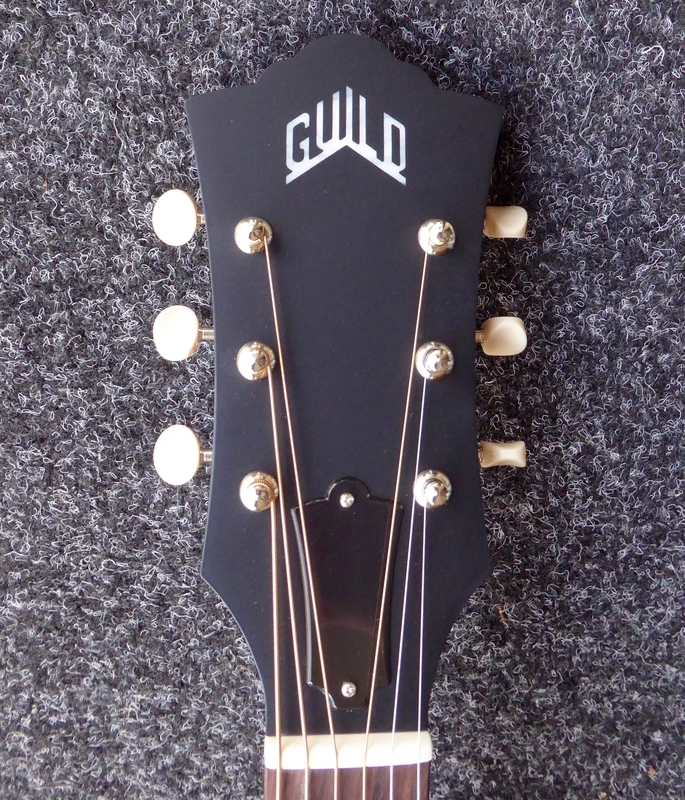 Brand new to the Guild USA line, the D-40 is perfect for players looking for that ultimate dreadnought sound. 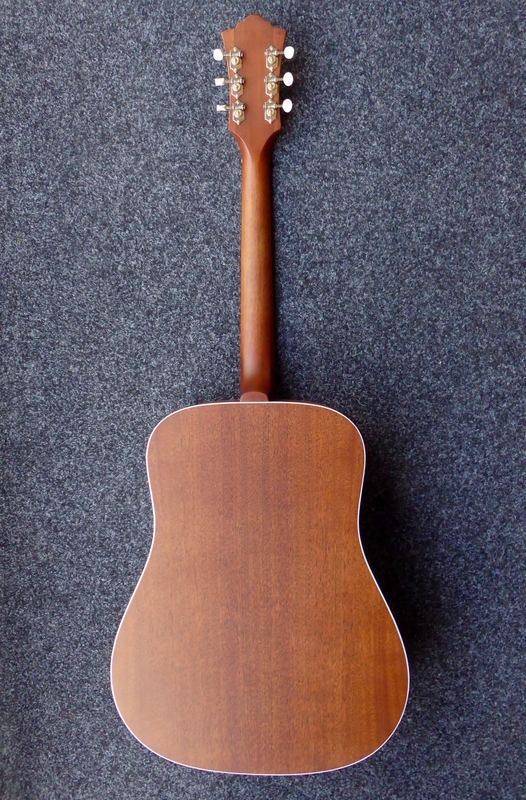 The classic wood combination of a solid Sitka spruce top and solid African mahogany back and sides provides remarkable volume, clarity and sustain. 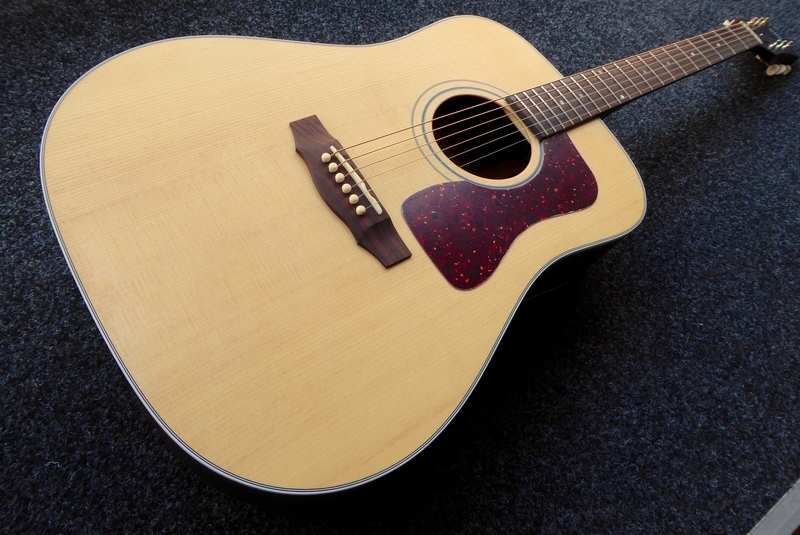 An elegant and thin satin varnish finish gives this guitar its familiar broken-in look and feel, while allowing the tone woods to reach their optimal sonic potential.